There's a reason parents tell their kids to lay off the sugar: too much isn't good for you. In research published in G3: Genes, Genomes, Genetics, researchers at the University of California, Riverside, show that bacteriocytes—specific aphid cells that house the symbiotic bacteria—have different DNA methylation patterns depending on what type of plant sap the aphid is consuming. 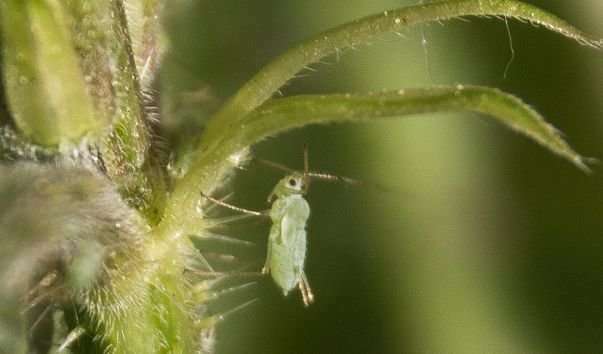 The researchers found that key aphid genes involved in nutritional symbiosis were activated in bacteriocytes—the aphid cells housing the bacteria—in low-nutrient diets. One of these genes is for a protein that recycles ammonia into glutamine, an essential ingredient needed by the bacteria in sustaining aphids on a nitrogen-limited diet. Another gene codes for a protein that transports glutamine into bacteriocytes, where it can be used by the bacteria. The title of the paper is "Key Transport and Ammonia Recycling Gene Involved in Aphid Symbiosis Respond to Host-Plant Specialization." Don't most insects die in a few days?